The essence of all being is energy. Our physical and ethereal selves depend on the unrestricted flow of energy that is the source of good health and wholeness. Though the channels through which this energy flows are open systems and influenced by factors outside of our control, we ultimately decide what—and how—these will impact our lives. With that said, it’s hard to believe how quickly we are transitioning into the end of the Spring season. The Dragon month marks the “beat” between the Spring and Summer seasons, and it might just be the pause or the breath we need to gear up for the Summer season (Fire). We are the lucky witnesses to nature as we observe every living being around us returning to life once again. The trees (Wood) have regained valor from their deep winter (Water) hibernation. This means our bodies too have reawakened. Our minds are flowing with new ideas. Our spirit is reinvigorated with new possibilities—and we feel inspired to live out our destinies. Are you feeling it? Have the past two months felt energizing? Or is the Pig year looking like a bit of a setback? 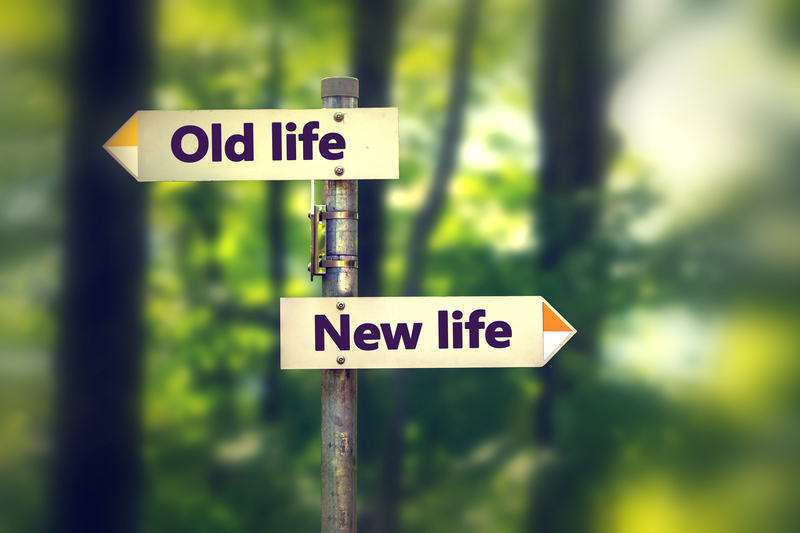 If you’re thinking about initiating a re-do, you might just be in luck. In BaZi, we call the Dragon Element the “Spirit” because it is ominous and spiritual. For instance, people born with a Dragon sign in their Four Pillars are generally regarded to be more intuitive in nature (especially when the Dragon is paired up with the Dog). They have a keen and acute sense of people and their surroundings, a kind of inner knowing that is not explainable by logic or reason. April brings forth that sort of energy. In other words, it’s time to harness the power from within. As mentioned in last month’s forecast, in the springtime, we rise. But in the Dragon month—an Earth Element—it is the “rooting before rising again.” Imagine the yoga asanas or poses. Mountain pose, or Tadasana, calls for one to fan out her toes to create a wide, solid base. This is followed by engaging the quadriceps and drawing them upward to create a strong and supportive foundation for the upper body to stay open. This is usually the pose preceding tree pose or Vrksasana. I correlate these two poses to the Earth and Wood Elements, respectively. 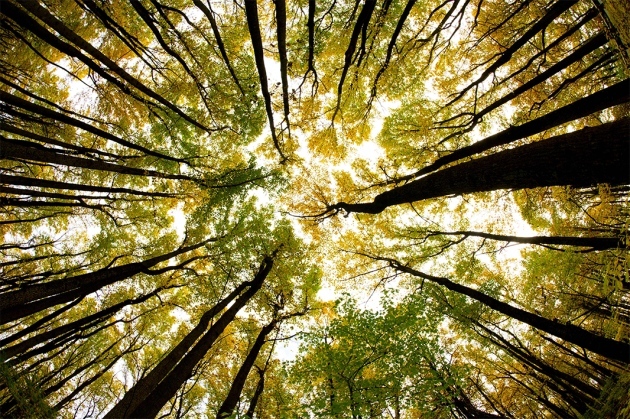 One cannot fully expand and branch out like a tree without the roots firmly gripped underneath. This, my friends, is how I am asking you to imagine the month of April. With all the expansive energy that has come with the springtime, have you inadvertently neglected some aspect of your life that now needs tending to? For instance, has work felt really good and productive but you let your fitness and health fall by the wayside? Have you been so focused on nurturing your passion that you forgot to invest quality time with your loved ones? The Earth month reminds us to not take things for granted. So, come back to your home base, pause for the time being, and remember why you’re here, and why you’re doing what you’re doing. This is particularly significant especially if you have been feeling more flighty, antsy, restless, listless, nervous, or irritated. The Dragon month is the perfect time to settle down and regroup. It’s the motion of coming back to Earth, the home base, the core, the foundation. Remember, the Elements showing up may be fixed, but you still get to choose how you will respond and react to them. 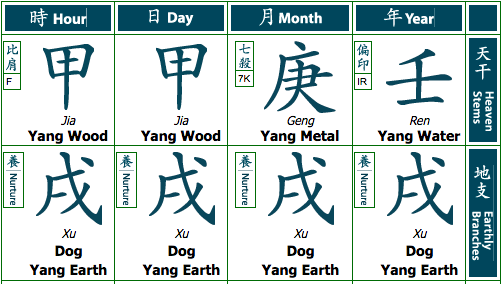 April is a very heavy Earth Element month (Yang Earth Dragon), so if this is not your most favorable or supportive Element, make note of how it normally impacts you and use that in your favor. Don’t ever go against the Elements, go with them. For example, if your Day Master is “Strong Metal” and Earth is not your favorable element, then the energy this month feels very heavy. Therefore, it’s best to hunker down and dedicate the month to learning something new but avoid starting new projects. If your Day Master is “Weak Fire” and Earth is not your favorable element, then the energy this month feels very spastic and chaotic. That means you’ll need to be more mindful of preserving your energy, or fatigue and thoughtless actions can wreak havoc and cause more anxiety. The Heavenly Stem is Yang Earth. Your most-recent memory of this Element was in 2018, which was also a Yang Earth year. Yang Earth is like the mountain—solid, dense, still, and powerful. If your Day Master or Self Element is Yang Earth, then you mimic the mountain. You have a strong and forceful presence. By nature, you are protective and selective of the things and people you care most about. But you are not the most spontaneous character. Yang Earth people are slow to decisions, and usually need more time to digest and process new ideas. Your instinctive nature is more calculated, methodical, and careful. Even your playful side is more guarded. You crave consistency and predictability in life, and have a strong distaste for chaos, disorganization, and indecisiveness. 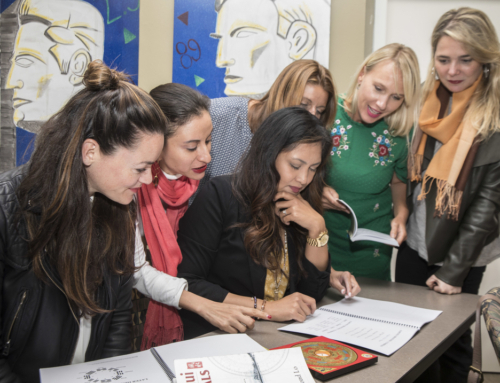 Based on my relationships with my clients, Yang Earth people share similar patterns with the zodiac sign Cancer in Western Astrology. They are particularly homebound. They love—and I mean, really love—their home and all that it represents. Yang Earth people live in extremes, thriving in the highest of highs and the lowest of lows. When they are balanced, they exude the almighty power—magnanimous, selfless, generous, and reliable. When maladaptive, though, they are indifferent, guarded, distant, and self-indulgent. Famous Yang Earth ladies: Elizabeth Taylor, Hillary Clinton, Jennifer Garner, Margot Robbie, Natalie Portman, Diane Kruger, Vera Wang, Imelda Marcus, Ariana Grande, Maria Sharapova, to name a few. Famous Yang Earth Gents: Ben Affleck, Bashar al-Assad, David Beckham, Michael Jackson, Harry Connick, Jr., Robert Downey, Jr., Tom Selleck, Tom Petty, Michael Dell, Marc Cuban, Mark Zuckerburg, Barron Trump, to name a few. This month, you are under clash if you were born in the year of the Dog (1922, 1934, 1946, 1958, 1970, 1982, 1994, 2006, 2018). Remember, the Dog sign is not confined to the Year Pillar alone. Most importantly, the clash is more intense if the Dog appears in your Day Pillar. This is harder to calculate unless you know your Chinese BaZi chart. The Dog may also appear in your Month Pillar (October 8 – November 8) or Hour Pillar (7pm to 9pm local time). Carry a jade pendant of Rabbit in your keychain or inside your purse. Take care of the Feng Shui of your home, particularly where you sleep. If the month star has an adverse effect in your bedroom, this could provoke restless sleep, sickness and ailments, relationship misunderstandings and conflict, etc. See the Feng Shui write-up below. Click HERE to inquire about getting a Feng Shui consultation. If the clash is in your Day Pillar and you are in a relationship, be more patient and forgiving, and more gentle and clear in your communication and delivery. Creating healthy spaces or boundaries between you two is also ideal, so as not to exaggerate small quarrels into larger arguments. Do you have a Dragon in your Day Pillar? If so, this is called a Self Penalty or Self Punishment. Be careful of your thoughts and behavioral vices. 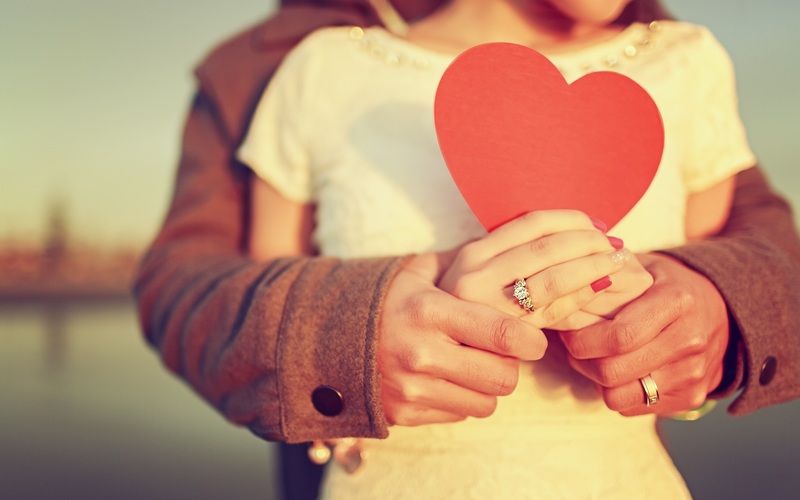 If you’re married or in a committed relationship, don’t overreact to small things and be more thoughtful in your communications. 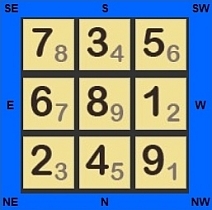 South Sector (3,4) = Red Envelope (Fire Element). West Sector (1,2) = 6 Metal Coins (Metal Element). Northeast Sector (2,3) = Red Envelope (Fire Element). North Sector (4,5) = 6 Metal Rod Wind Chime (Metal Element). Southwest Sector (5,6) = 3 Bamboos (Wood Element). East Sector (6,7) = 3 Bamboos (Wood Element). Southeast Sector (7,8) = Do not activate Month Star 8 because it could stimulate and provoke unwanted scandal, controversy, and misunderstandings. You can only activate these prosperous stars this month if the Base Chart of your home already enjoys a positive Water Star 8, 9, or 1. If not, then activating these month stars will only irritate and activate a negative star. That’s why it’s very important to know the inherent chart of your home before activating anything as you could inadvertently create more harm than good. Active objects include a water fountain feature, a small aquarium, a pendulum clock, or kinetic objects. The heavy Earth month will call for your attention in the center region of the body, particularly the organ systems related to the uterus, ovaries, stomach, spleen, and pancreas, as well as all other digestive processes. The stomach and spleen meridians control energetic movement through the face, abdomen, and the outside of the leg. Physical symptoms associated with the Earth Element maladaptation include eating disorders, upper and lower gastrointestinal disease (including peptic ulcer disease and inflammatory bowel disease), sinusitis, frontal headaches, and gynecological disorders. Spleen energy deficiency typically causes fluid retention, which shows up as excess weight. The spleen transports and transforms foods and fluids. Difficulty in “transporting” is similar to the pathology in insulin resistance, where glucose can’t be transported into the cell because of poor receptor function for insulin. When this happens, energy can’t be created from food, and the resulting fatigue triggers additional cravings for sweets and starches. 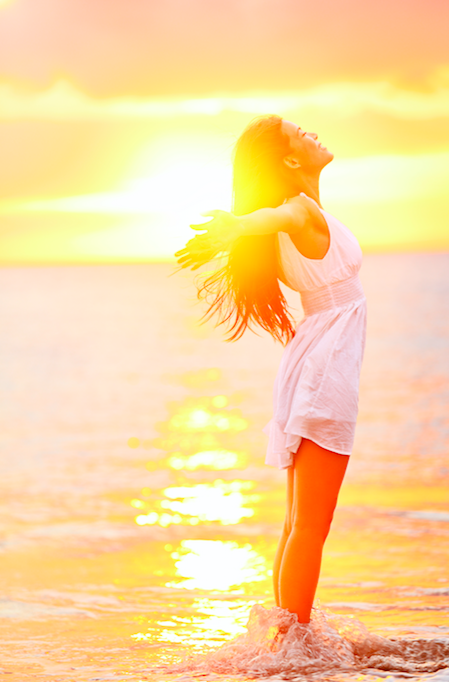 Here are some tips to increase the energy balance of the Earth Element this month. 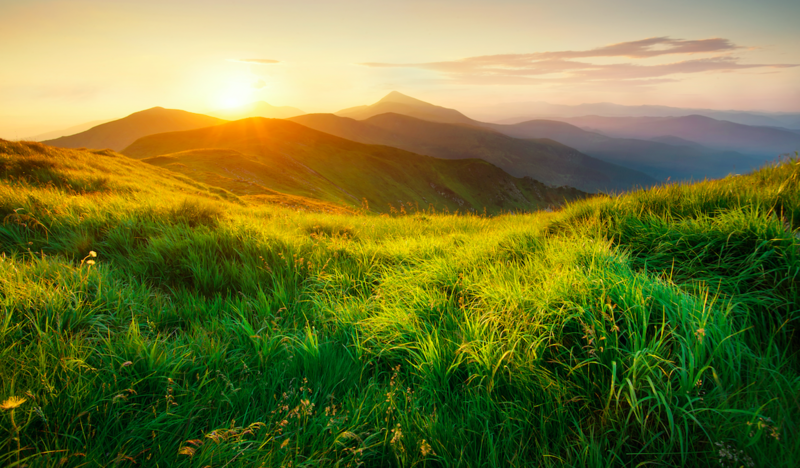 Grounding exercises such as qi gong and tai qi are important for developing a connection to the earth and experiencing the power of being well-grounded. Many also find great satisfaction from working in a garden, tending plants, and getting their hands dirty with the soil. 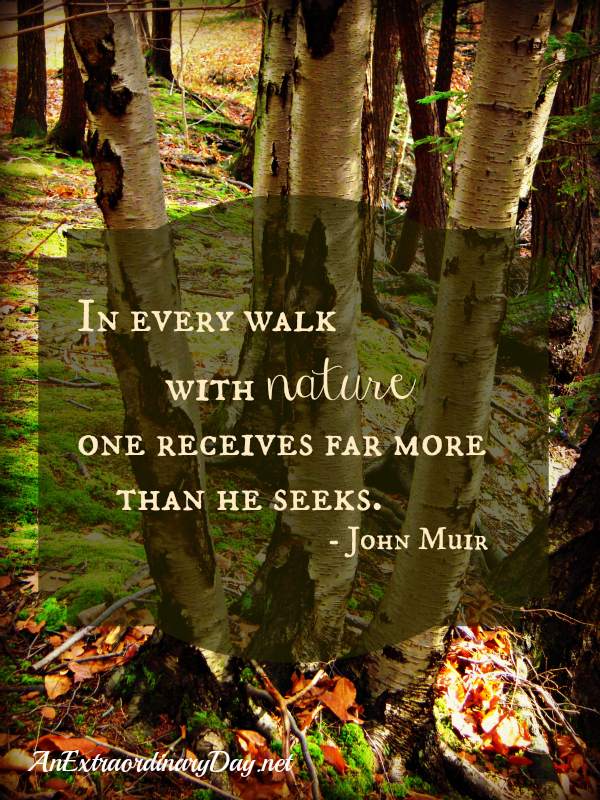 Gardening, growing food or taking walks in nature all can help. Furthermore, it’s important to experience new ideas, thoughts, and philosophies; try to be less worried and opinionated, and appreciate other points of view. The daily practice of empathy and compassion, the emotion for the Earth Element, will also enhance adaptation and balance. Free Feng Shui Talk in Scottsdale, Wednesday, April 10 at 5pm. Please pre-register HERE. Our 2019 class roster is now available with more classes being added. 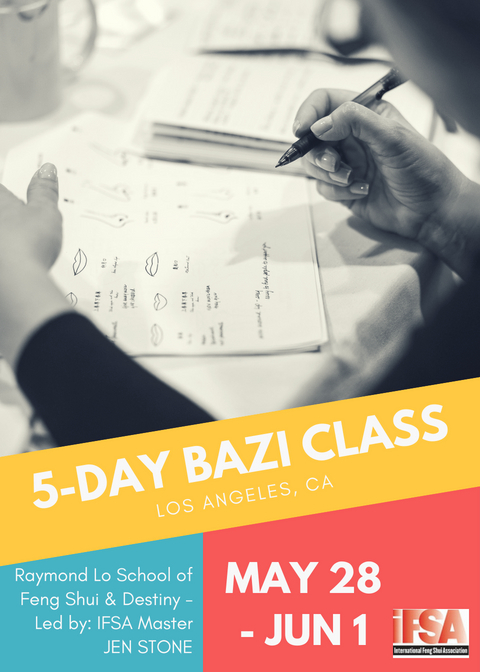 5-Day BaZi Class in Los Angeles, May 28-June 1. 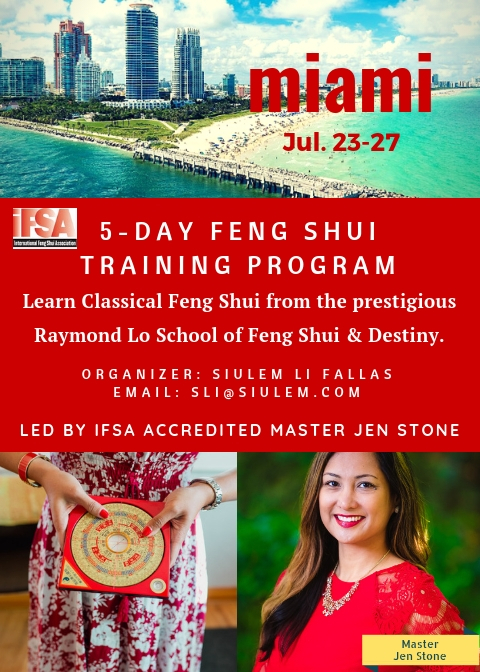 5-Day Feng Shui Class in Miami, July 23-27. 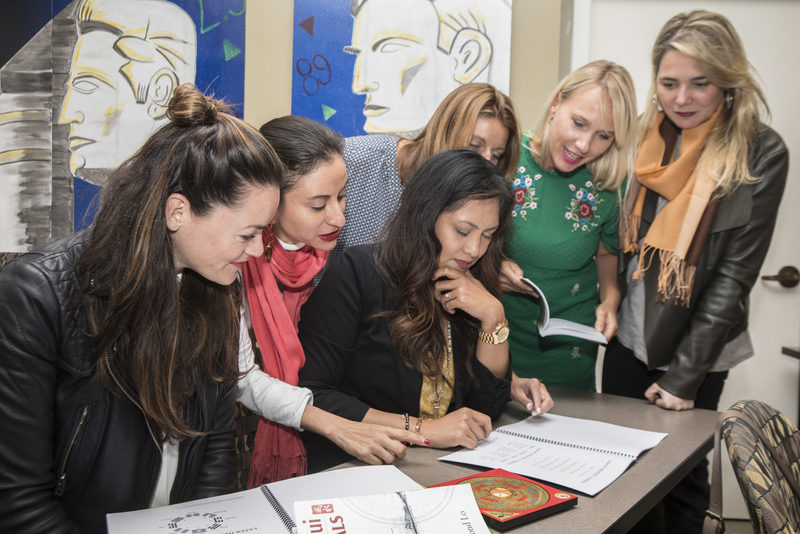 2-Day I Ching Classes are offered to those who have successfully completed our BaZi program. They will be offered in Scottsdale, June 14-15 and San Francisco, July 14-15. Click HERE.